Cheap Island weddings are becoming more popular as couples look to find creative ways to have the wedding of their dreams without it costing them a fortune. The best way to keep the costs down is to choose a location that will not cost a fortune to get there. Look at your local airports and see where the cheap flights go to and create a short list of affordable island destinations. Do they have resorts that provide wedding packages? What is the cost of the wedding ceremony? 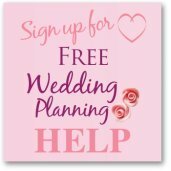 Are there reasonably priced wedding planners? What are the accommodation costs? How long do you need to be on the island before your wedding? Are there any island savings? Hawaii has many free beaches available for weddings. 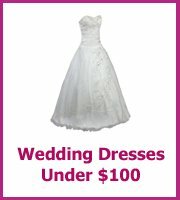 Think about all of the items that are important to you for your wedding and cost those into the total price. I know a number of brides that have found great deals if they leave on a Tuesday, so see if you can be flexible on your dates as this may save money too. It is also important to look at the high and low seasons on the islands. Low season is when the weather is unpredictable, the possibility of hurricanes and monsoons. The low season in the Caribbean is May to November and holding your wedding during this time will cost you less, but you are possibly risking bad weather. Many resorts are also offering discounts during the off season, ask what deals they have running at the moment. Think about your guest list, not as many of your guests will be able to travel long distances so there will be less people than a wedding at home. 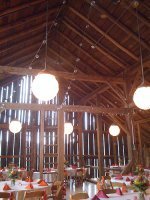 This will save you money on your wedding budget as you will be catering for less. Some of your guests will make a real effort to be there, it is likely that this will be their annual vacation and so you need to make sure you investigate lots of different pricedaccommodation. Quite a few of the resorts offer free wedding packages to encourage you to book your wedding with them. They normally have a minimum stay requirement. Sandals at the moment is 6 nights. If you were looking to stay for less time and travel on to another destination for your honeymoon this might not be a great deal for you. But if it fits with your plans of a big resort for your wedding then it will save you money. When you have decided on your cheap island weddings destination, it is a good idea to visit the island before your wedding. This is an extra expense but it will save you money in the long run. You will be able to visit where you want to get married, where you want your wedding reception and alternative accommodation for your guests. You may change your mind when you are there, it could be that you find the perfect restaurant for your wedding meal or the perfect beach for a relaxed barbeque. 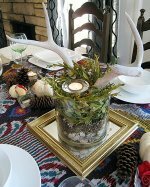 If you are unable to visit the island yourself look at hiring a wedding planner, contact as many as you can find, ask for references, photographs and prices. Check the references before you decide on your wedding planner. Checking references is so important when you book any of your wedding suppliers; florists, cake makers, venues, photographers you do not want any surprises on your wedding day. Well only nice, romantic ones!